This was a real discovery. Very easy but tasty recipe. First of all peel some strips of the eggplants (alternatively) and then cut in small stripes. Chop the chilli, if you prefer remove the seeds before. Mix the sake, the soup stock, the sugar and the miso until you have a even mixture. Warm a skillet with some sesame oil. Add the chilli and the eggplants. 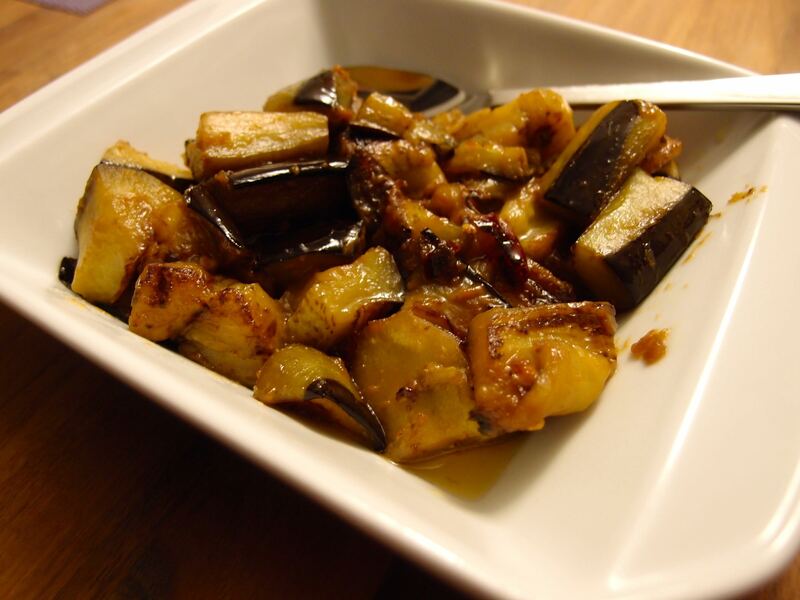 When the eggplants are golden you can add the sauce mix. Cook until the liquid is gone.